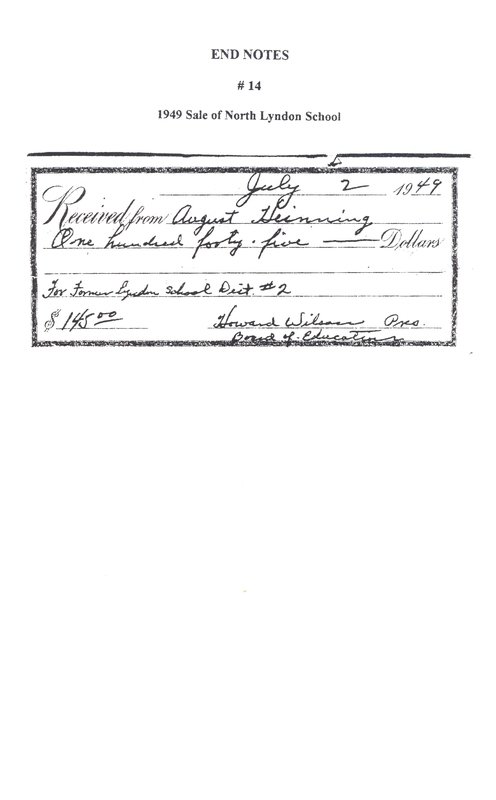 Receipt for the Sale of Lyndon Schoolhouse in 1949 to President of Board of Educators, Howard Wilson from August Heinning in the amount of $145. 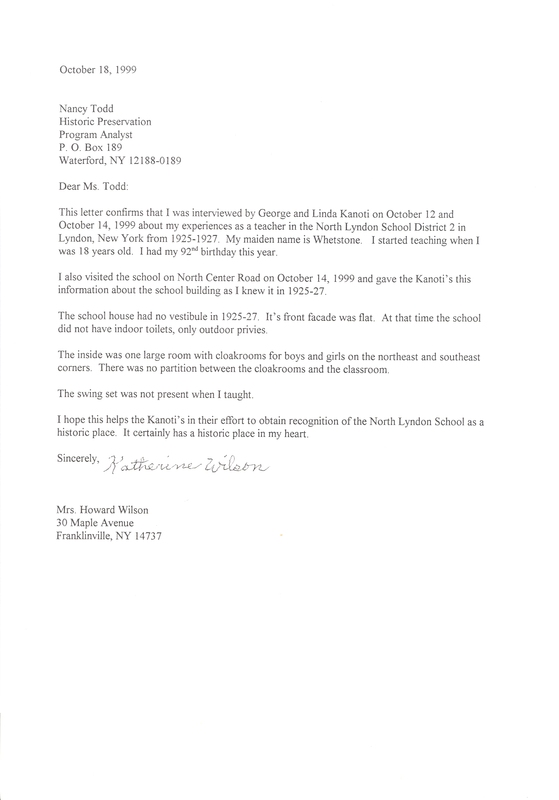 Dear Ms. Todd: This letter confirms that I was interviewed by George and Linda Kanoti on October 12 and October 14, 1999 about my experiences as a teacher in the North Lyndon School District 2 in Lyndon, New York from 1925-1927. 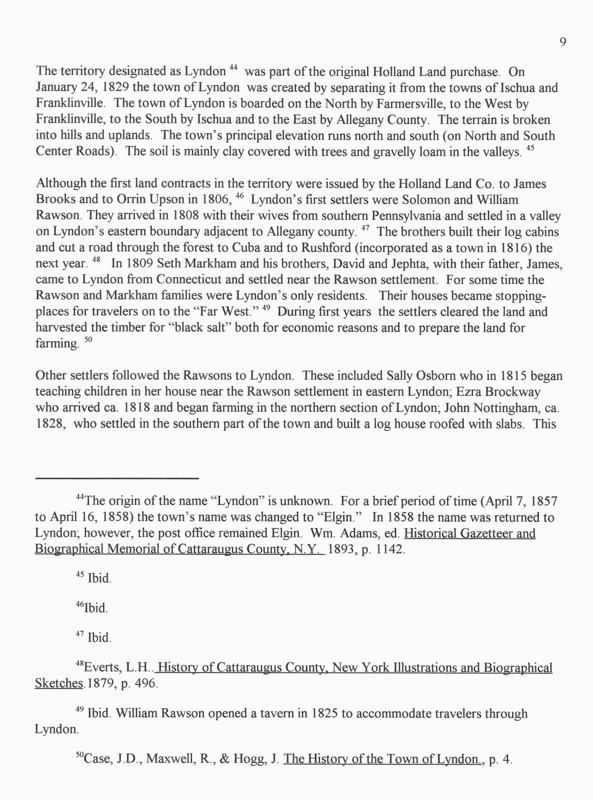 My maiden name is Whetstone. I started teaching when I was 18 years old. I had my 92nd birthday this year. 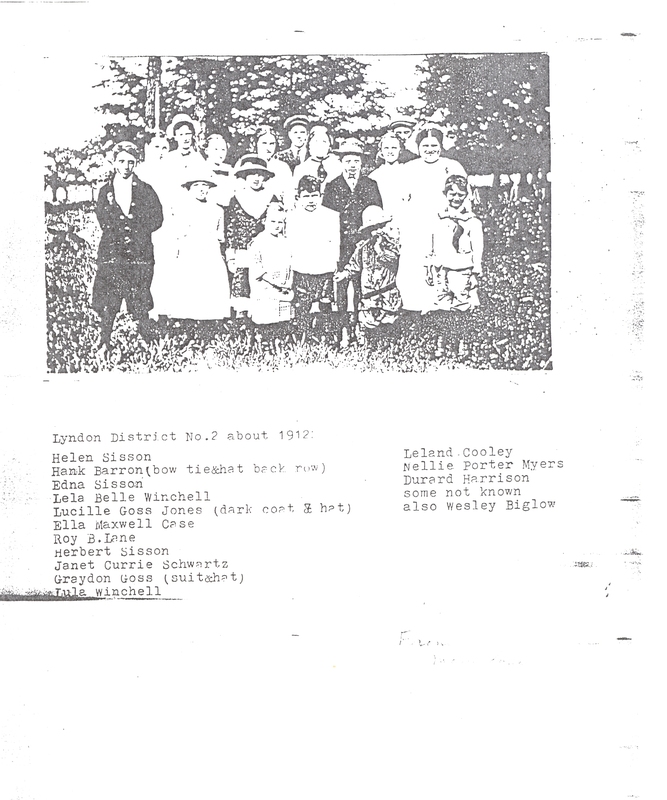 I also visited the school on North Center Road on October 14, 1999 and gave the Kanoti's this information about the school building as I knew it in 1925-27. 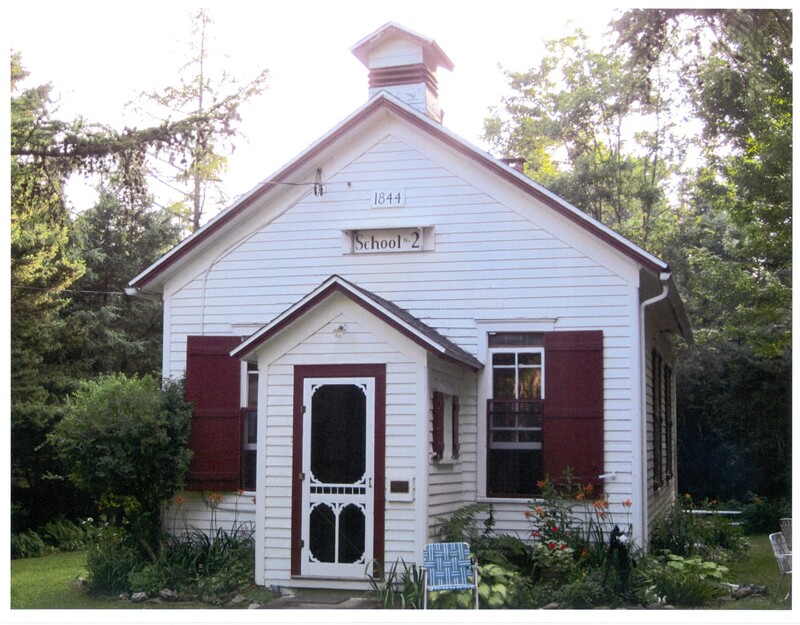 The school house had no vestible in 1925-27. It's front facade was flat. 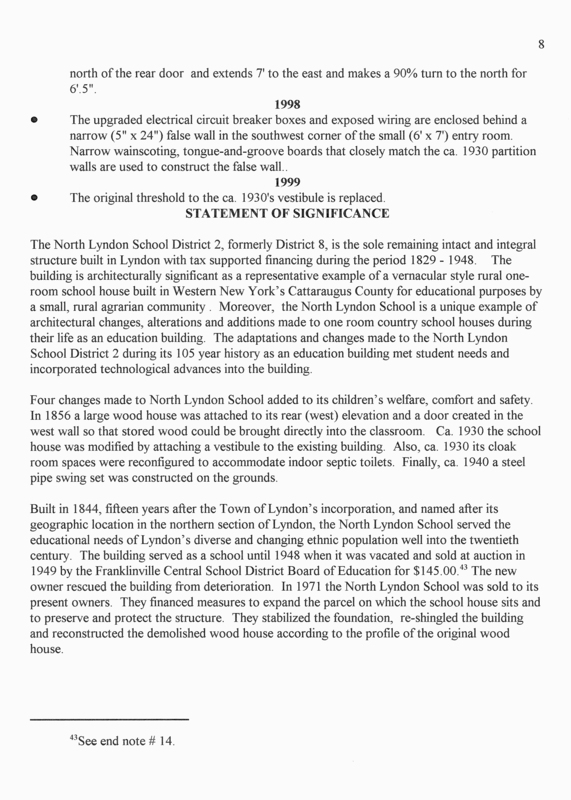 At that time the school did not have indoor toilets, only outdoor privies. 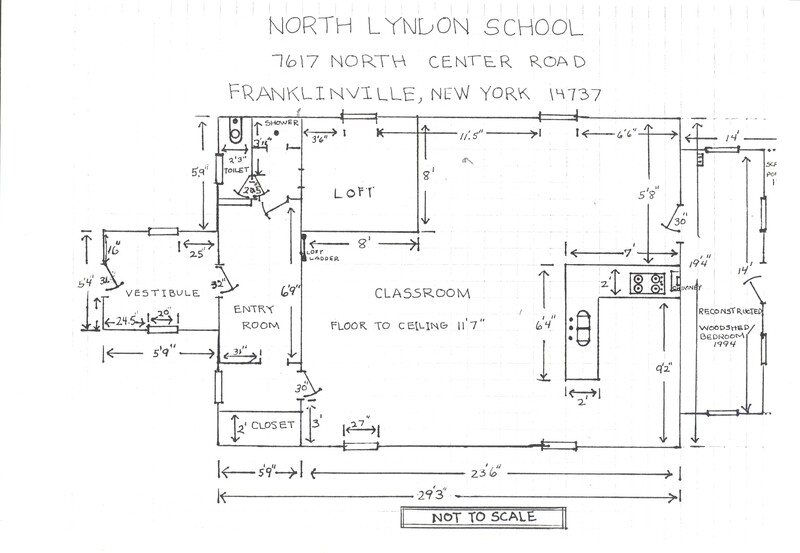 The inside was one large room with cloakrooms for boys and girls on the northeast and southeast corners. There was no partition between the cloakrooms and the classroom. The swing set was not present when I taught. 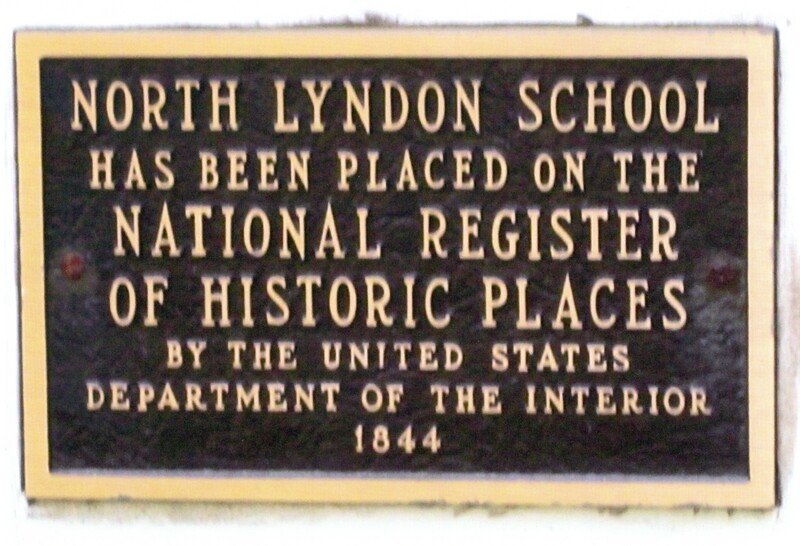 I hope this helps the Kanoti's in their effort to obtain recognition of the North Lyndon School as a historic place. It certainly has a historic place in my heart. 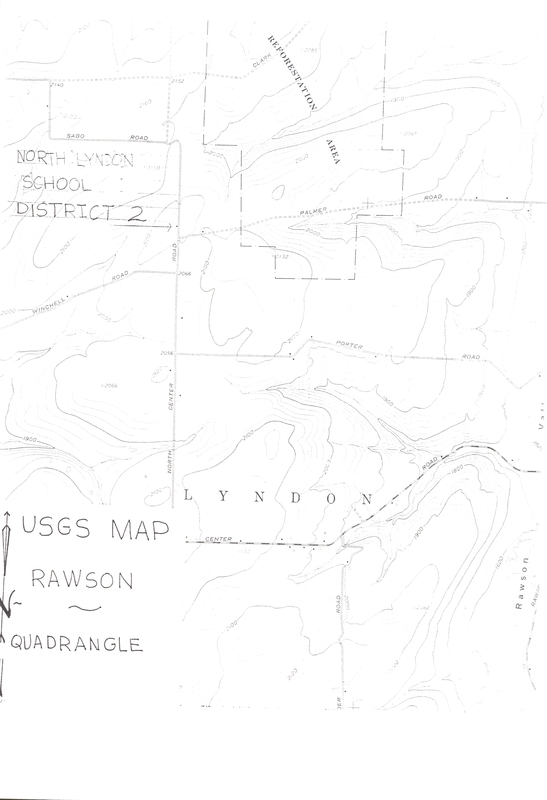 Justification for North Lyndon District 2 School house to be designated as a historical building in the National Register of Historic Places. 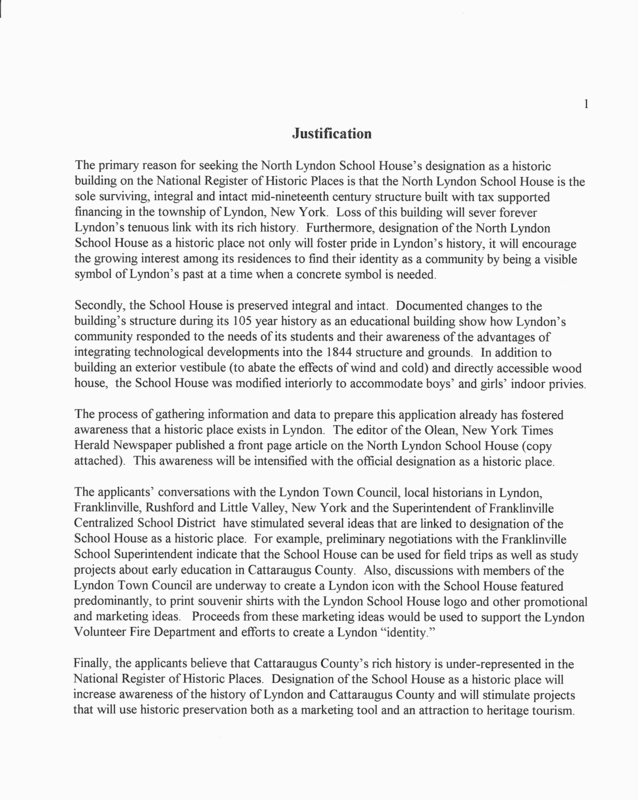 Statement of Significance of North Lyndon School house. Continue of Statement of Significance.